MATH! The word alone often holds a negative connotation even for many adults. When preschoolers are given MANY opportunities to PLAY with numbers and basic math concepts, they will gain confidence and build a foundation for future math skills. For over 25 years, we’ve used Wikki Stix to help guide preschoolers, through playful learning, toward early math intuition. 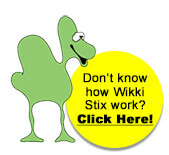 Come play with us and discover how Wikki Stix can be used at home or in the classroom with your own kids! 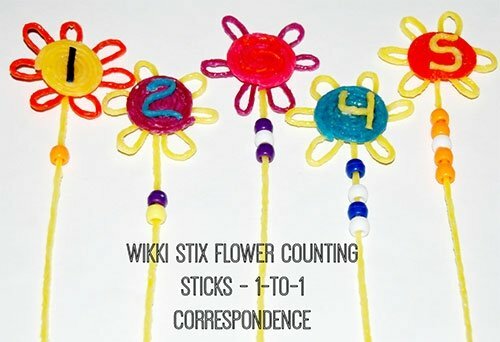 Wikki Stix Counting Sticks: Wikki Stix can be used to create any seasonal counting sticks desired. Invite the children to create a topper craft and simply press a Wikki Stix to the back of the craft. Craft topper suggestions might include: sunshine, flower, heart, ladybug, flag, frog, turkey, or any seasonal item(s) the kids want to create for a fun counting stick. There is no wrong or right way to create with Wikki Stix. The craft toppers will be individual to each child. The counting sticks can be numbered and threaded with pony beads to encourage and practice 1-to-1 correspondence and/or patterning skills. 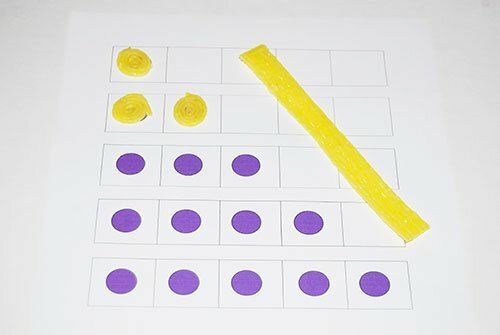 Math Counters that STICK: most counters and math manipulatives for preschoolers are usually variations of plastic bingo chips that often slide off or move out of place. Instead of plastic counters, invite the kids to create tight pinwheels from Wikki Stix to use as math counters. Leave a tray out with Wikki Stix for the kids to create counters during centers or downtime. It’s a great way to encourage tiny finger strength and the math counters will STAY IN PLACE with Wikki Stix. See Top 10 Wikki Stix Playful Math Activities for Preschool! for more ideas! Darla Hutson is an educator, mom of 6, educational blogger, and owner/editor of The Preschool Toolbox Blog. For more tips and suggestions for preschoolers, please join other parents, childcare providers, and classroom teachers for discussion in a closed FB group, public FB page, Pinterest, Twitter, or via Instagram!